Fast food institution Burger King now sells an entirely meatless version of its flagship burger. This vegetarian version of the iconic Whopper burger is made with a plant-based burger patty that’s designed to look and taste just like beef. The Impossible Whopper is now available at 59 Burger King locations in the St Louis area and is set to appear at all of their 7,200 restaurants across the US should the trial period go off without a hitch. 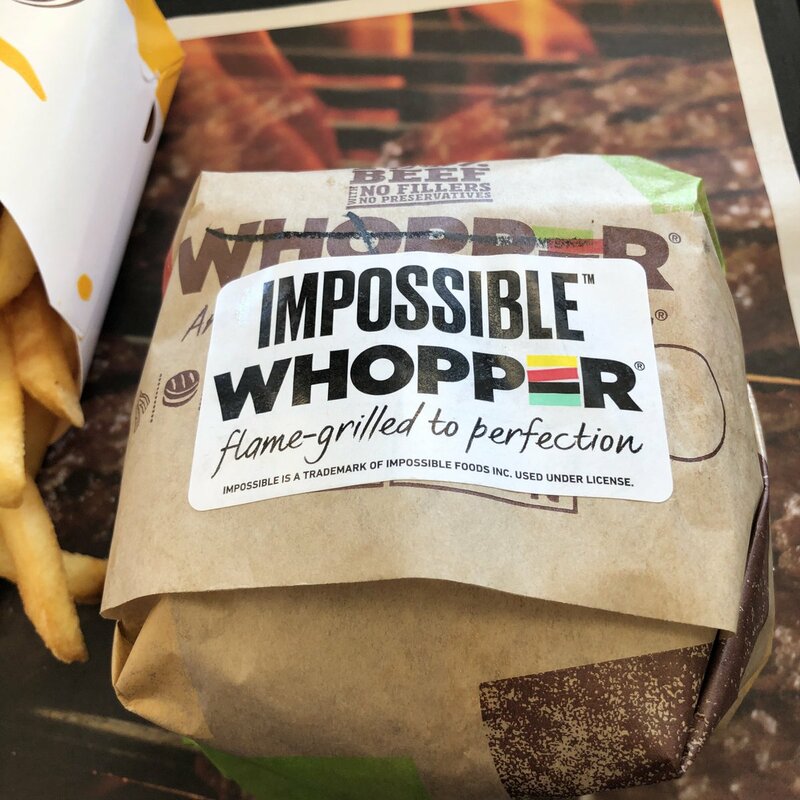 The arrival of the Impossible Whopper is great news for the health conscious, as the meat-free option contains 15% less fat and 90% cholesterol than its beef-based cousin. However, costing about a dollar more than the regular Whopper, it’s a premium option for veggies and calorie-counters. Furthermore, the burger will still be topped with mayonnaise – which means it is unsuitable for vegans. The meatless patty used in the new Impossible Whopper is produced by Impossible Foods, who use a soybean root derivative to make a meat alternative called heme. When blended with other vegetarian ingredients, the plant-based product has a slightly nutty texture, like ground beef. The same recipe is used by the burger chain White Castle – although Burger King’s version has been specially crafted to resemble the Whopper. 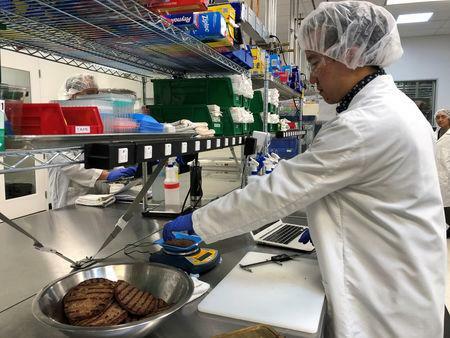 Impossible Foods began developing their heme burger in an attempt to reduce global reliance on animal-based agriculture, which has a significant environmental impact. For example, new research suggests that without meat farming, the land covered by agriculture could be reduced by 75% globally – which is an are equivalent to the US, China, the European Union, and Australia combined – and still feed the entire world. Furthermore, Impossible Foods’ meat alternatives solve health concerns and ethical issues associated with meat consumption, whilst generating a tiny fraction of related greenhouse gas. However, Impossible Foods’ success has not come without controversy. For example, People for the Ethical Treatment of Animals have claimed that the product isn’t as animal-friendly as it seems. According to a sting conducted by the animal rights group, Impossible Foods test their products on rats. In a blog post, PETA said that “it’s impossible for PETA to get behind the Impossible Burger,” claiming the product was unhealthy, immoral, and inferior to a competitor’s product. Be sure to Comment Below and let me know if you have tried this burger and what the taste was like.